Learn About The Minimal Cues To Rock Your Consultations « ROCK YOUR CONSULTATIONS, GET MORE MARKS! 2. How to grasp the minimal cues confidently during your consultation. This is part 1 of the two-part series. Click here to see part 2 video about check points! Click Here for Part 2 video – Learn about the check points to use in your consultations. Video 1 – Tips To Rock Your Consultation – Part One of 2 part series. 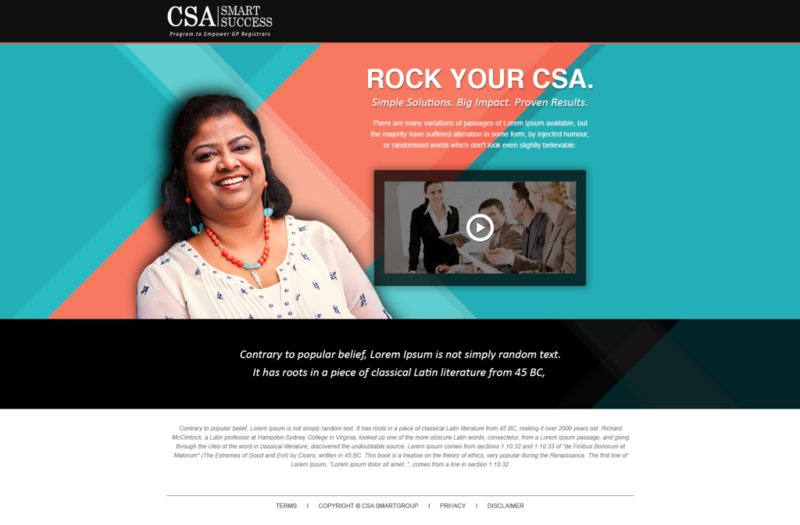 Iam Dr Hema and I am the founder of csasmartgroup.com, where CSA stands for Consultation Skills Academy. We help doctors and medical students, not only to pass their exams with flying colours but to completely rock their consultation with confidence, get more marks, wow their patients and at the end of the day, to enjoy doing it! Today I want to talk about an approach to learning certain consultation skills. My favourite books are The Inner Consultation by Dr Roger Neighbour and The Naked Consultation by Dr Liz Moulton. I love them. The inner consultation is a way of doing this based on developing the ability to hone in on certain information-laden clues. A traditional way of teaching consultation skills has been to use component skills (such as asking open-ended questions) and tasks (such as agreeing a management plan). However, a conscious resolve to apply these themes can dominate a doctor’s attention and both parties can subsequently suffer. Alternatively, the doctor just reacts impulsively and disregards his overall intended performance. The inner consultation is a way of releasing communication abilities which have already been instilled at this stage of the doctor’s career. There are certain points to identify with this type of approach. When important phases of the consultation take place, they are signalled by patients in various ways. The doctor must recognise them. The signs are known as minimal cues. The opening gambit is a rehearsed remark made by the patient, such as “I’ve had a pain in my stomach for a week”. When a cluster of non-verbal signs indicate a serious notion, it is known as an internal search and usually precedes a statement of significance. Watch out for immediate brief body stillness or “freezing” mid-gesture, eyes flitting around, a steady, fixed gaze, usually to one side either up or down or a glazed look, as if the patient is staring into the distance. A noticeable increase in speech levels is called turbulence. The patient is approaching “dangerous” territory here. The cues to spot are if speech flow gets fragmented, agitated or erratic, as well as sudden changes to pace, pitch and volume. I have noticed this pattern of behaviour many times while I was working in accident and emergency places, busy GP clinics. I have managed to break those patterns by acknowledging them, changing my posture and voice and have prevented them getting into the dangerous zone. I teach my CSA Smart Success students with simple steps to tackle the patterns with confidence and ease. Another detail to pinpoint is speech censoring, when a patient avoids going into explicit detail about a delicate subject. Hesitations, prevarications, vagueness and non sequiturs are examples of this. Also, some explanations don’t appear to make sense because intermediate connecting thoughts aren’t included. “My period was late so I ate lots of fruit” becomes clearer when the connecting phrase “I thought constipation could be the reason” is included. An unexpected shift in the speaker’s attention, from internal to external or present to past/ future, is another indicator. We have to be alert to these minimal cues and use them as signals to redirect full attention back onto the patient and thereby make pertinent responses without forcing. Don’t try and interpret every example, if it’s really significant it should be recognised without conscious effort. The benefit arises from the doctor redirecting his attention at this point. In doing so perception becomes more astute, communication improves and consultation is more effective. That’s all for today, I will see you soon in part 2. If you’ve enjoyed this video, click the like button and share this video with your friends as I know that we practice together with our friends all the time. Now, I would like to invite you to sign up for my free video series called ROCK YOUR CSA. I have created these videos especially to help you to rock your consultation, get more marks, to wow your patients and make every examiner love you. All you need to do is to enter your name and email address in the box above.